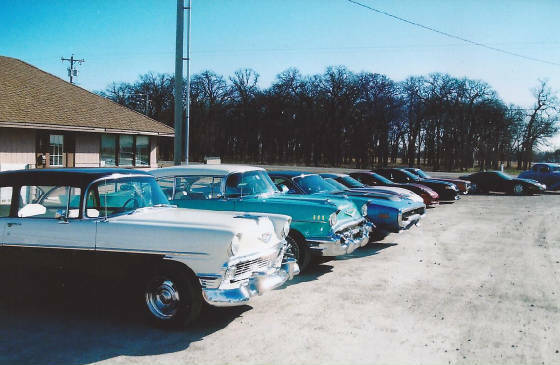 Marvin and Karen Petty brought a group of their classic car friends to Perkins January 7. 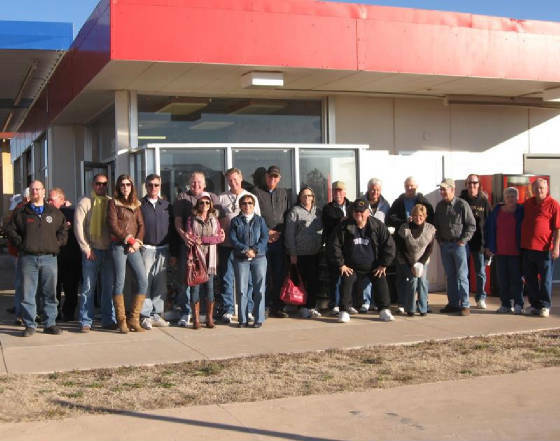 They made a stop for lunch at Jalopy’s Drive In and then drove over to the Oklahoma Territorial Plaza to tour the 1957 three bay gasoline station restored by the Cimarron Starlite Cruisers. 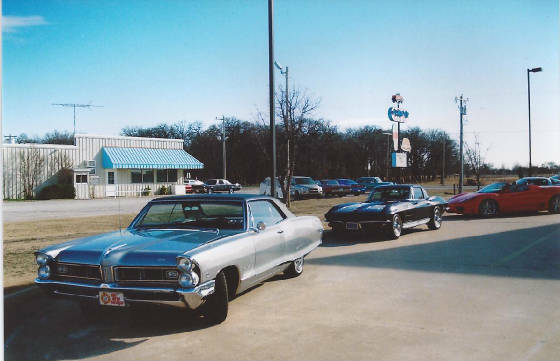 Marvin and friends cruise to an Oklahoma destination every month. 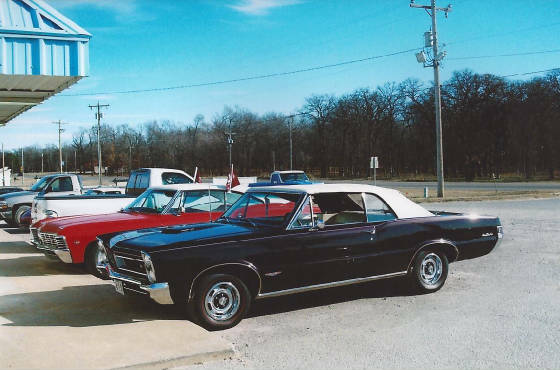 As you can see the interests and type of vehicles vary a great a deal with this group of enthusiasts. 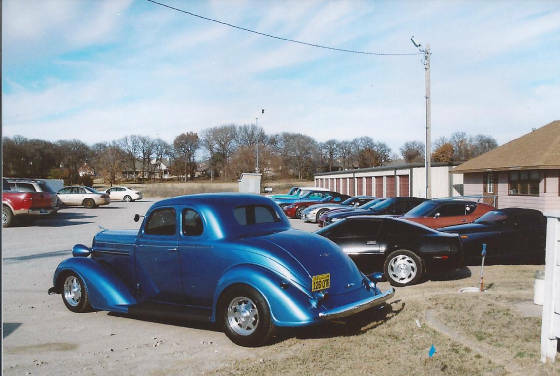 The Petty Cruiser’s vehicles range from a 1936 Dodge Brother’s coupe, Ferrari Spider, Corvettes from 1963 to present, a large variety of Mopars from the sixties to present, several different models of Chevrolets from the 50’s to the 60’s, Grand Prix and GTO Pontiacs a wild Ford pickup with dual super chargers! 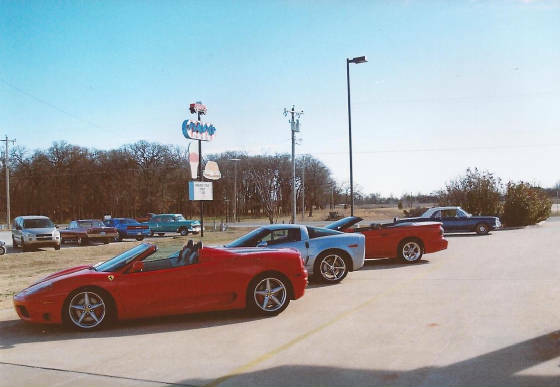 Marvin and Karen have sponsored many events and donated the proceeds to the Victory Junction, which was built in honor of Adam Petty and provides life changing experiences for kids with chronic medical conditions or serious illnesses. 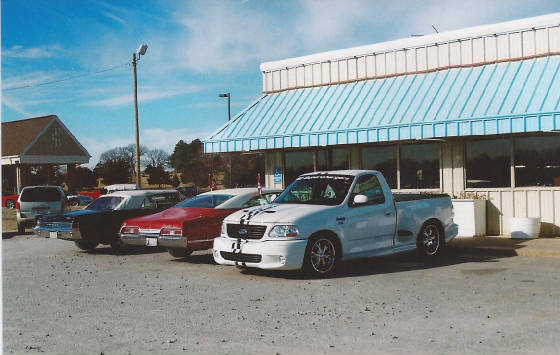 The Victory Junction has touched the lives of more than 10,000 children with chronic medical conditions or serious illnesses and their families. Through events, specialized programs, sponsorships, volunteer hours and in-kind support, Victory Junction partners truly make a difference in the lives of children. Victory Junction serves 24 chronic medical conditions and serious illnesses such as, but not limited to, Autism, Cancer, Craniofacial Anomalies, Diabetes, Hemophilia, Sickle Cell and Spina Bifida. For more information concerning the Victory Junction, please visit www.victoryjunction.org The camp, located in Randleman, N.C., was built on 84 acres and donated by Richard and Lynda Petty. 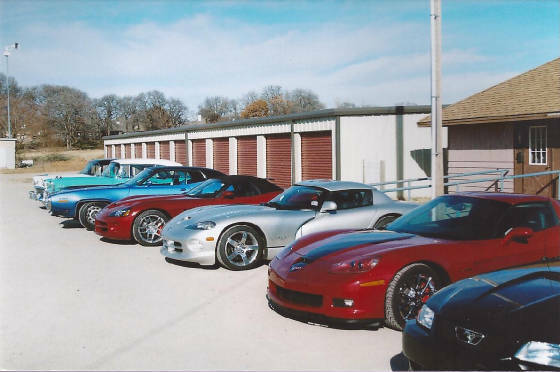 A big thanks goes out to Dan Turner and John Seng for providing the pictures of the Petty Cruisers! 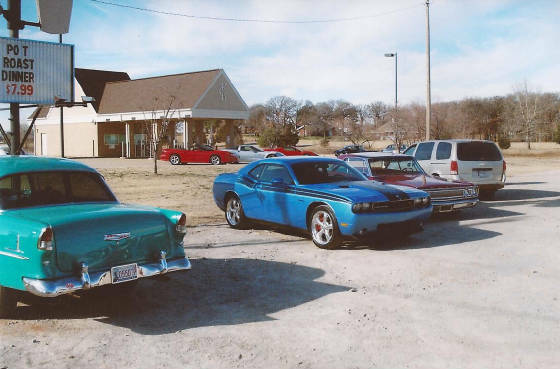 The Cimarron Starlite Cruisers sincerely enjoyed the fellowship with the Petty Cruisers and invite everyone to return in the near future.